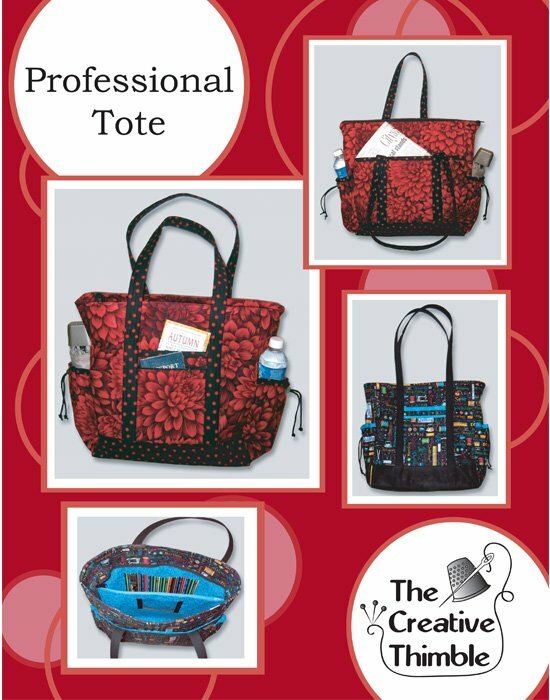 This tote has all the pockets and compartments you will need! Pleated pockets on each side to hold a bottle of water or umbrella, small zipper pockets on the outside front, plus a large center dividing zippered pocket to keep your tablet or small laptop safe. With so many storage spots - this will become your favorite bag! Sign up for at least TWO Bag Classes - and save $5 PER CLASS! $5 credit will be applied in person at the time of your first class. Can be used on any products or services offered by Creative Sewing Center (no cash back).